The Miami Dolphins come to Bank of America Stadium to take on the Carolina Panthers on Monday Night Football. The Panthers are looking good on the heels of two straight wins to get their record to 6-3. On Sunday, they scored a 20-17 win over Atlanta, overcoming a 10-0 deficit to score an important divisional win. They look for more of the same this week and would love to take a 7-3 record into the bye. They face an incoming Miami team that has lost their last two games to fall to 4-4. They really need a win after losing to the Raiders at home, 27-24 on Sunday Night Football. Who can get the job done on MNF? Things didn't start out great for the Panthers on Sunday, falling into a 10-0 hole going into the second quarter. They started working their way back into the game with a strong run-game, while the defense stepped up and started making plays to get their nose ahead and crossing the wire a narrow winner. It's been a strange season for the Panthers, starting 4-1, but looking rough in back-to-back losses. The last two wins have had a stabilizing affect on the team and they'd like to go into the bye with some good momentum. The Carolina offense had some nice developments on Sunday. With Kelvin Benjamin traded, they look for more of Devin Funchess, who was good on Sunday with five catches for 86 yards. Speedy rookie Curtis Samuel is getting more involved and that could start to pay off down the line. Cam Newton found the springiness in his legs and peeled off some nice runs on Sunday. Christian McCaffrey has been useful as a short-pass target and was so again on Sunday, but he also had some nice runs, including one for a score that shows he might be able to help the Carolina run-game moving forward. Granted, they only put up 20 points, but it was promising to see them pound the ball for over 200 yards on Sunday. The Carolina defense really tightened up after not looking so swift early in the Atlanta game. To hold Atlanta to one late fourth quarter touchdown in the game's final 3+ quarters is pretty good. All told, they have allowed 23 points combined in their last three games and have been pretty stout as of late. On Sunday, they had Mario Addison and Wes Horton up-front pressuring the quarterback. Luke Kuechly was very active and got help from running-mate Thomas Davis. S Mike Adams had a pick for the second game in a row, though he left the game with a shoulder injury. They started the season in fine form, before not looking like a typical good Carolina defense for the next handful of weeks. But over the last several weeks, they look to be in top form. The Dolphins had high hopes this season, based on the strength of how they ended the season in 2016. Adam Gase looked to have this team headed in the right direction. Given their recent past, maybe a spurt isn't out of the question, but they seem headed in the wrong direction. While they had decent production on the ground on Sunday, the move to ditch Jay Ajayi was curious in many ways. They did better than the previous week when Baltimore of all teams shut them out 40-0, but the theme remains the same—an offense that struggles to keep pace. With what they typically crank out on offense, they need a truly-special defense and their "D" falls well short of that. The Miami offense did have some decent performances on Sunday. From an actual scoring points-perspective, however, the production wasn't there. Jay Cutler was statistically very good with 311 yards and three touchdowns on 34-for-42 passing with no picks. Kenyan Drake had 69 yards on 9 carries and showed flashes of big playmaking ability coming out of the backfield. Both DeVante Parker and Julius Thomas had big games. RB Damien Williams caught six balls. They did some nice things, but it was 27-16 until late in the game. At least Miami gave themselves a chance, but they should have never been in that position. A little more was expected in what was a must-win situation at home for the Dolphins. The Miami defense isn't bad. Injuries haven't helped, nor has an offense that hangs them out to dry from time to time. The secondary has been average. Reshad Jones had his second pick of the season on Sunday and though Derek Carr went for 300 yards, they held him to one TD. They gave up a few big plays on the ground, yielding two touchdowns to Marshawn Lynch. Ndamukong Suh had a sack, but other than that, the pass-rush was relatively silent, as it has been in a lot of games this season. Jones' pick was only Miami's third on the season. With an offense that is somewhat in-the-dumps, some more playmaking would have been nice this season from this unit. Other than being somewhat-stout in spots, they just haven't been a very impactful group. Miami's recent history makes one hesitant to shovel dirt on what looks to be a downward-headed team. They're one of those teams who can look really good just as you're about to count them out. Conversely, this Carolina team might be headed to nice things and is 6-3, but they haven't achieved enough dependability to overly-rely on them in spots like this where they're robust favorites. I see Miami getting it done this week, at least from an ATS standpoint. 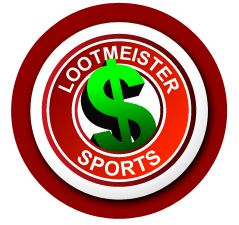 Loot's Prediction to Cover the Point Spread: I'm betting on the Miami Dolphins plus 9 points.Tired of your credit card not working for sportsbook deposit? End that problem today and bet the Miami vs. Carolina game by signing up at Bovada Sportsbook where your credit card WILL work and where you'll receive a generous 50% sign-up bonus!